Man Utd have reportedly made contact with Mino Raiola as they step up their interest in Roma defender Kostas Manolas. The defence has been a problematic area for the Red Devils this season, as they’ve conceded 43 goals in 32 Premier League games so far. That gives them the second worst defensive record of the top nine sides in the standings, and so that would suggest that they have to strengthen in that department this summer to shore things up at the back. As noted by La Gazzetta dello Sport reporter Nicolo Schira in his tweet below, they could be targeting Manolas as a solution, as it’s claimed that the Red Devils have contacted his agent, Raiola, with a view of stepping up their interest in the Greek international. Further, it’s added that the 27-year-old has a €36m release clause, which arguably makes him an affordable and appealing option to bolster their defence ahead of next season. Manolas has made over 200 appearances for Roma since joining them in 2014, featuring regularly in the Champions League while also earning 39 caps for Greece. Although he hasn’t been able to win major trophies since leaving his homeland, there is no doubting his quality in defence, from his reading of the game, aerial ability and technical quality to build from the back. 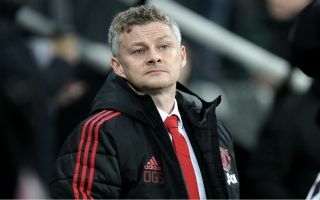 That would suggest that he’s an ideal addition for Man Utd, although it remains to be seen if Ole Gunnar Solskjaer will have to axe one of his current options to make space in the squad given he has plenty of competition for places already. The Norwegian tactician can pick from the likes of Victor Lindelof, Chris Smalling, Phil Jones and Eric Bailly, but as noted above, their defensive record simply hasn’t been good enough this season and so adding a player like Manolas with the quality that he possesses, could be a very sensible move from the club.